There’s no date on the last page. Some different things were tried this time for reasons. The other is　たーのしー, which I’m guessing is “fun”. Yeah weird that there’s a title at the top for some of the pages. 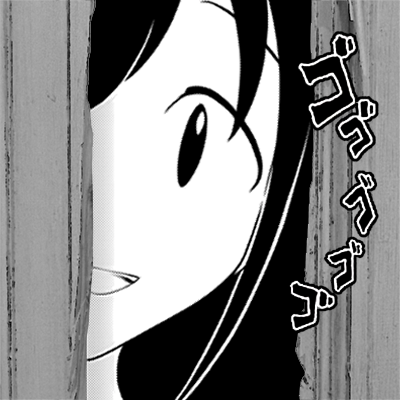 Maybe eventually moving more to a 4koma kind of thing? They do this for things that are meant to be self-contained sections. Often times it’s a single page, but sometimes it’s a group of pages. hi, it ESL-kun again, thank for new chapter so fast! Thank you very much for translation. In japanese site the next chapter will be released in September 20th. Yeah. Contemplated fabricating the next chapter text, but wasn’t sure if it was omitted on purpose or not.